As noted in the featured video, your memory holds a record of your entire life and shapes your identity. As your memories dwindle, it can easily feel as if you’re losing the very essence of who you are. The “recordings” stored in these neural connections are your memories. Interestingly, the ability to form memories and recall past events does not occur immediately upon birth. He’s been looking for the key event or change that occurs that finally allows children to recall the past. Pediatric tests designed to assess self-recognition — a child’s ability to understand that they are a separate individual from other people — along with tests designed to assess memory, reveals a fascinating insight. As a result, he has trouble with even the most basic tasks involving memory, such as navigating to a destination, even when he’s been there hundreds of times, remembering the names of people he knows, or following instructions given just moments earlier. What’s more, each action you take on any given day is actually dependent on your remembering to take it — whether it’s to brush your teeth each morning, or that you have an appointment that day — and this is something John cannot do. The damage in John’s brain is centralized around the primary memory circuit, the hippocampus. When your hippocampus works well, each moment of your life is registered. When it is damaged, you will struggle to remember facts and events, and in severe cases like John’s, even the most basic memory functions will suffer. Research using brain imaging has revealed remarkable similarities in the patterns of brain activity when you’re remembering a past event and imagining a future one. For most people, this ability to “time travel” in your mind is honed by the age of 9. John, on the other hand, cannot mentally project himself into the future, so he’s trapped in an eternal present, with neither future nor past. As noted in the film, at first glance, this might seem like a rather pleasant condition. He doesn’t worry as much, for example, because he cannot remember that there are things to worry about. But on the flip side, he’s stumped when asked what he wants for his own future. In essence, his lack of memory of the past has robbed him of the ability to imagine himself in a future scenario. It also gives you the power of abstract thought, creativity, and problem solving. If none of us had memory, no plans would ever be made, and we’d all mull through each day at random. We’d have no industries or modern technologies — projects that require a great deal of planning, organizing, and follow-through. In short, memory is essential for the survival of our species. It’s also thought that language and advanced problem solving skills are a direct outgrowth of the human memory function. For example, you don’t have to relearn how to ride a bike as this pattern is stored in your primitive reflexive brain. Similarly, most of us can drive to work on “automatic pilot” as it were, without needing to give reflective conscious thought to steering, breaking, and navigating. Memories cannot be deleted at will, which can have negative consequences. It’s been estimated that by adulthood, at least 10 percent of people will have experienced something they’d rather forget. Post-traumatic stress disorder (PTSD) is the result of the inability to forget a traumatic event that causes severe emotional distress. “Having analyzed data from a variety of studies, researchers found that propranolol given before memory consolidation reduced subsequent recall for negatively-perceived stories, pictures, and word lists. Use of propranolol before reconsolidation also reduced subsequent recall for words with negative impact as well as the expression of cue-elicited fear responses. For over a century, scientists have known that memories are stored in the connections between brain cells. The cells grow toward each other in order to form these connections, through which signals can be passed between them. What’s still not understood is how these connections actually represent the experience stored within them. This is actually likely why the Emotional Freedom Techniques (EFT), an energy psychology approach, works so well as it is able to help repattern the neurological circuits that store painful memories that severely impair one’s ability to live a fully functioning pain-free life. Like the rest of your body, your brain changes with age. It’s not uncommon for changes in memory to occur as well, although most people adapt and compensate quite well, allowing them to function normally. Not surprisingly, the ability to form and recall memories is dependent on healthy brain cells. Information-carrying chemical messengers are also affected. By the time you reach the age of 80 or 90, you will have lost about 50 percent of these chemical messengers, and this also impairs memory and cognitive ability. Even then, it’s remarkable how much of your memory is retained, if you’re healthy. The real problem is when your poor lifestyle catches up with you, and your brain starts to deteriorate beyond the norm. This can also happen through neurovascular accidents like stroke or neurodegenerative diseases like Alzheimer’s. Thankfully science has begun to more fully appreciate the neuroplasticity of the brain to compensate for some of these challenges. I will be posting an interview with Norman Doidge, MD in a few months. He is the author of the fascinating book The Brain’s Way of Healing, that goes into extensive details on some of these healing strategies. Alzheimer’s disease, a severe form of dementia, is now the third leading cause of death in the US, right after heart disease and cancer. One of the hallmarks of the disease is the buildup of toxic proteins in the brain, particularly in the hippocampal area, causing memory loss. But what causes the buildup of these plaques? Modern research has found a number of different risk factors that may play a role in general memory loss and Alzheimer’s, and most of them are directly related to unhealthy lifestyle choices. Processed food diet. Mounting research suggests our modern diet is playing a significant role in the skyrocketing prevalence of Alzheimer’s. Processed foods tend to be nearly devoid of healthy fat, necessary for healthy brain function, while being excessively high in sugar. This combination appears to be at the very heart of the problem. Fortunately, the solution is quite simple: eat REAL food, and avoid processed food like the plague. Insulin resistance and diabetes. Alzheimer’s is sometimes referred to as “type 3 diabetes.” Your brain actually produces insulin necessary for the survival of your brain cells. A toxic protein called ADDL removes insulin receptors from nerve cells, thereby rendering those neurons insulin resistant, and as ADDLs accumulate, your memory begins to deteriorate. Previous research has also shown diabetics have a doubled risk of developing Alzheimer’s disease. According to neurologist Dr. David Perlmutter, anything that promotes insulin resistance will ultimately also raise your risk of Alzheimer’s. He claims you can easily “push back cognitive decline by anywhere from 10 to 15 years” by incorporating an exercise regimen three to four times a week – even if you begin during middle age, and exercise at a moderate rate. Onset of Alzheimer’s disease was also more rapid among those with untreated sleep apnea. On average, they were diagnosed about five years earlier than those slept well. Even if you don’t have sleep apnea, chronic lack of sleep also promotes Alzheimer’s by preventing critical detoxification. 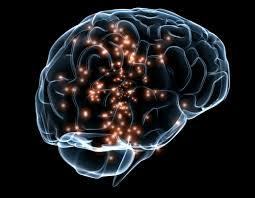 Your brain’s waste removal system, known as the glymphatic system, only operates during deep sleep. The glymphatic system allows your brain to clear out toxins, including the harmful proteins (amyloid-beta) linked to Alzheimer’s. Without proper sleep, harmful waste begins to accumulate in your brain. Research5 from the Mayo Clinic has revealed that diets rich in carbohydrates are associated with an 89 percent increased risk for dementia while high-fat diets are associated with a 44 percent reduced risk. This combination of very little sugar and carbs, along with higher amounts of healthy fat is essential not only to address Alzheimer’s, but diabetes and heart disease as well, since all of these conditions are rooted in insulin and leptin resistance. Eat REAL FOOD, ideally organic. Avoid processed foods of all kinds, as they contain a number of ingredients harmful to your brain, including refined sugar, processed fructose, grains (particularly gluten), genetically engineered (GE) ingredients, and pesticides like glyphosate (an herbicide thought to be worse than DDT, and DDT has already been linked to the development of Alzheimer’s). Ideally, you’ll want to keep your added sugar levels to a minimum and your total fructose below 25 grams per day, or as low as 15 grams per day if you already have insulin/leptin resistance or any related disorders. Opting for organic produce will help you avoid synthetic pesticides and herbicides, many of which are associated with neurological dysfunction. Be sure to choose organic grass-fed meats and animal products, as animals raised in confined animal operations (CAFOs) are routinely fed GE grains contaminated with pesticides, along with a variety of drugs. Some researchers have even suggested Alzheimer’s may be a slow-acting form of mad cow disease, acquired by eating contaminated meats; and mad cow disease originated in the CAFO system, which forces herbivores to eat animal parts. Optimize your gut flora by avoiding processed foods (sugar, GE ingredients, pesticides, and various food additives all discourage healthy bacteria in your gut), antibiotics and antibacterial products, fluoridated and chlorinated water, and by regularly eating traditionally fermented and cultured foods, along with a high quality probiotic if needed. Dr. David Perlmutter explores the compelling connection between the microbiome and brain health in my interview with him, connecting it to a number of neurological diseases, including Alzheimer’s. Besides the key dietary instructions just mentioned, and getting enough restorative sleep, exercise also unquestionably helps prevent Alzheimer’s. It may also be an important component of treatment. It’s been suggested that exercise can trigger a change in the way the amyloid precursor protein is metabolized,6 thus, slowing down the onset and progression of Alzheimer’s. Exercise also increases levels of the protein PGC-1alpha. Intermittently fast Ketones are mobilized when you replace carbs with coconut oil and other healthy fats. Intermittent fasting is a powerful tool to jumpstart your body into remembering how to burn fat and repair the insulin/leptin resistance that is a primary contributing factor for Alzheimer’s. Optimize your vitamin D levels with sensible sun exposure Sufficient vitamin D is imperative for proper functioning of your immune system to combat inflammation that is also associated with Alzheimer’s.If you are unable, for whatever reason, to get enough sensible sun exposure, make sure to take daily supplemental vitamin D to make your blood level at least 40 to 50 ng/ml. This is typically about 8,000 units of vitamin D for most adults. Avoid and eliminate mercury from your body Dental amalgam fillings, which are 50 percent mercury by weight, are one of the major sources of heavy metal toxicity, however you should be healthy prior to having them removed.Once you have adjusted to following the diet described in my optimized nutrition plan, you can follow the mercury detox protocol and then find a biological dentist to have your amalgams removed. Avoid and eliminate aluminum from your body Sources of aluminum include antiperspirants, non-stick cookware, vaccine adjuvants, etc. For tips on how to detox aluminum, please see my article, “First Case Study to Show Direct Link between Alzheimer’s and Aluminum Toxicity.“There is some suggestion that certain mineral waters high in silicic acid may help your body eliminate aluminum. Avoid statins and anticholinergic drugs Drugs that block acetylcholine, a nervous system neurotransmitter, have been shown to increase your risk of dementia.These drugs include certain nighttime pain relievers, antihistamines, sleep aids, certain antidepressants, medications to control incontinence, and certain narcotic pain relievers.Statin drugs are particularly problematic because they suppress the synthesis of cholesterol, deplete your brain of coenzyme Q10, vitamin K2, and neurotransmitter precursors, and prevent adequate delivery of essential fatty acids and fat-soluble antioxidants to your brain by inhibiting the production of the indispensable carrier biomolecule known as low-density lipoprotein. Challenge your mind daily Mental stimulation, especially learning something new, such as learning to play an instrument or a new language, is associated with a decreased risk of Alzheimer’s.Researchers suspect that mental challenge helps to build up your brain, making it less susceptible to the lesions associated with Alzheimer’s disease. This entry was posted in Alternative Medicine, Herbs, Home Remedies Series, Human Behavior, Introducing, Lifestyle Health, Longevity, Medical Studies, Odd Medical Practices, Tele-Medicine, Vitamins - Supplements and tagged active imagination, Alzheimer's disease, and the, body detox, DDT, Disrupting Memory Re-Formation, E-Patient Health Care, eliminate mercury from your body, Emotional Freedom Techniques (EFT), glymphatic system, How Your Memory Works, Impaired Memory Function, Insulin resistance and diabetes, lack of exercise, mad cow disease, memory recall, National Telemedicine Foundation, NTF, Optimize your gut flora, Optimized Nutrition Plan, processed food diet, Sleep disturbances, statin drugs, Surprising Implications of, Telemedicina Mexico, telemedicine, US Tele-Medicine by Admin. Bookmark the permalink.